Industrial Ethernet switches are used to form the network backbone in most of the mission critical application. Examples of the industrial Ethernet applications include intersections for road side traffic control, telecommunications exchange, mines and quarries, aeronautical installations and military sites, waste water treatment plants, utility substations, and wireless data management. 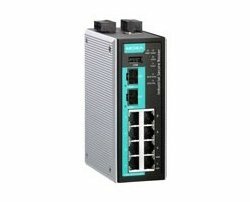 We offer a wide range of Industrial Ethernet switches with features including network redundancy, seamless integrated security and higher reliability. Our ethernet switch comes with variants of managed, unmanaged, Gigabit Ethernet, Power Over Ethernet, IEC 61850-certified, EN50155-certified and rackmounting. 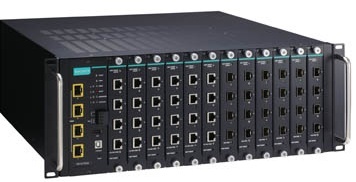 Tested with GOOSE compliance and passed IEC 61850-3 & IEEE 1613(conducted by KEMA), it delivers zero packet loss under the harsh EMI environments. Designed with railway automation and features PoE, bypass relay and Turbo Ring technology.